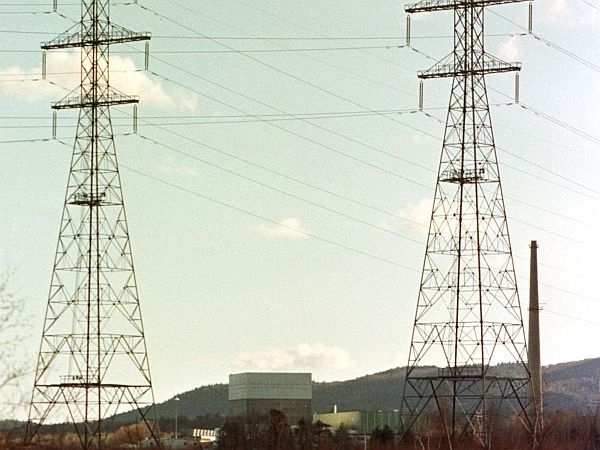 The Vermont Yankee nuclear plant is not needed for the stability of the New England electric grid, according to grid operator ISO New England. Yankee opponents say the grid’s decision is a sign that Yankee isn’t needed to keep the lights on. ISO recently conducted an auction for the region’s future power needs. And it reversed its decision from last year, when it said Vermont Yankee had to keep cranking out its 620 megawatts to keep the transmission grid stable in southern New Hampshire and New England. Now ISO says transmission upgrades and new generation means that Yankee is no longer needed to maintain grid reliability. Sandra Levine of the Conservation Law Foundation said ISO delivered an unambiguous message. "It made a very clear determination for 2015 going forward Vermont Yankee is not needed," Levine said. Levine said ISO also made the same determination for 2013 as well. "Other improvements to the power grid as well as new renewable energy resources and energy efficiency resources will be sufficient to cover whatever power that Vermont Yankee would otherwise be providing," she said. Levine and other Yankee opponents are cheering the news from ISO. For one, they say if Entergy Vermont Yankee had been deemed necessary to keep the grid stable, Entergy would have been entitled to a bonus payment. And second, Levine says the ISO decision undercuts one of Energy’s main arguments to keep Yankee running. "The lights will stay on, the electricity will keep flowing, and we will continue to have more than adequate power supply without Vermont Yankee," she said. Vermont Yankee has a new 20-year license from the federal government. But after a lengthy court battle, it’s back before Vermont regulators for a state permit to keep running. Entergy spokesman Michael Burns says despite ISO’s decision on reliability, there are plenty of other reasons to re-license the plant in Vernon. "That includes safe, clean, affordable power, millions of dollars each year in taxes and other state payments and more than 600 good-paying jobs that support hundreds of others in the community and add to the economic strength of the southern Vermont region," Burns said. Governor Peter Shumlin wants Yankee shut down. Public Service Commissioner Elizabeth Miller, whose office represents ratepayers, says ISO’s conclusion is positive. "What the ISO decision here means is that Vermont Yankee’s generating is not needed for reliability in the system going forward starting, as this decision, was in 2013," she said. "So that’s good news regardless of what Vermont Yankee’s owners may have in mind or may determine to do regarding operation of the plant. The state Public Service Board is hearing Yankee’s request for a new permit. The board recently laid out a schedule that stretches through next summer for the case to be argued.